Funeral services for Jessie Martin “Marty” Schumpert, 68, will be held two o’clock p.m., Sunday, August 26, 2018 in the Folk Funeral Home Chapel, Williston, SC with the Reverend Tom Baker officiating; burial will be in the Williston Cemetery. The family will receive friends from five to eight p.m., Saturday at the funeral home. Memorial contributions may be given in Marty’s memory to The Town of Elko, P.O. Box 170, Elko, SC 29826, Elko Fire Department, P.O. Box 217, Elko, SC 29826 or Elko Baptist Church, P.O. Box 277, Elko, SC 29826. Marty passed away on Tuesday, August 21, 2018. Born in Barnwell County, SC, he was a son of the late Ralph L. and Elma Hutto Schumpert. He was a graduate of Williston-Elko High School and studied Water Purification at Sumter Tech and Clemson’s “Short School” where he earned his certification. Marty strongly believed in active involvement with his community which led him to serve in numerous capacities including the Rescue Squad, Municipal Judge, Town Council of Elko, and the Elko Fire Department in which he helped to establish in 1976. Marty has served the citizens of Elko as mayor for over 42 years and was recently recognized as being one of South Carolina’s longest serving mayors. In 1976, he was instrumental in acquiring a grant to install a water system for the Town of Elko. 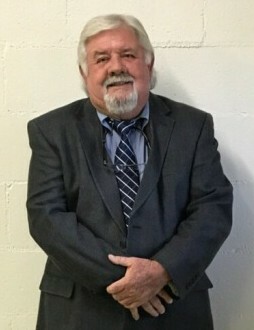 Marty was a member of the Lower Savannah District of the Water Environment Association of SC from 1988 to 2018. He worked 35 years for Maytag Corporation and also worked on the family farm and was in the timber business. Marty was a true friend who was always willing to give his time to help anyone who needed assistance and he will be greatly missed by all who knew him. Survivors include his wife of 50 years, Linda Allen Schumpert of the home; a daughter and son-in-law Rhonda and Michael Allen of Elko; daughter-in-law Sharon Schumpert; sisters Jo S. Crider, and Sandra S. Harley; sister-in-law Jackie C. Schumpert; mother-in-law Barbara Allen; sisters-in-law Debra (David) Deering, Karen (Ronnie) Rogers,; brother-in-law Frankie (Brenda) Allen; grandchildren Hunter Allen, Wyatt Allen, Ty Schumpert, Audra Schumpert, Jackie Edwards; a great granddaughter Aria and his four-legged friend and riding-buddy Charlie Brown.